Suri was previously a Partner of KPMG and a Managing Director of the global consulting firm of KPMG Consulting, later branded as BearingPoint. Tenzing, which was formerly KPMG Consulting/BearingPoint NZ, is a NZ based management and technology consulting company comprising over 100 professional staff. Suri’s consulting experience spans over 30 years, specialising in business consulting and technology enabled transformation. His role at Tenzing includes leading client engagements, providing quality assurance and governance, hands-on direction and client relationship management. Suri’s credentials comprise extensive local and international client delivery experience in developing business and technology strategies, and delivery of complex programmes. His industry experience covers public sector, commercial services and financial services. Working for KPMG in London for over 6 years, Suri led numerous Pan-European transformation programmes including being based in Geneva for a year to oversee transformation delivery. Tenzing’s New Zealand client base comprises blue-chip corporates and most of the large Government agencies. The private sector portfolio of Tenzing includes corporates in Financial Services, Utilities, Telecommunications and Commercial services. Suri graduated from Otago University and has a Bachelor of Commerce, majoring in both Accounting and Information Systems, and a Bachelor of Arts in Mathematics. He is a member of the Institute of Chartered Accountants (ACA). 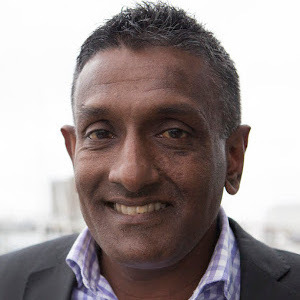 Suri also contributes his time and commercial expertise to Netball New Zealand, as a member of the board of Netball New Zealand and Chair of their Finance and Audit Committee.